Please fully charge the battery before playing. Prepare the supplied USB charge cable. Make sure you have a USB port on your stomach. Turn off the power (○). Plug the USB charge cable into the stomach USB port. Charge the USB charge cable with a PC or the like. Eye blinks green during charging and turns green when charging is completed. Caution: If your eyes are not green, you can not charge properly.Please disconnect USB charge cable once and connect again.Charging time is about 1 hour and you can play 20 ~ 30 minutes.When charging after continuous use, please wait about 10 to 15 minutes to cool the rechargeable battery before charging. 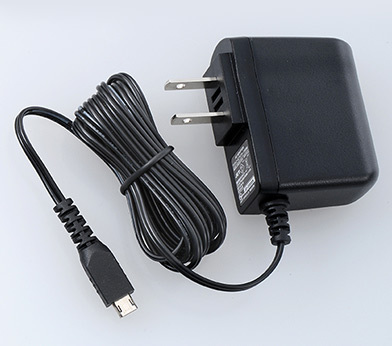 When using the AC adapter, be sure to use the AC adapter TYPE 5 MU (sold separately) exclusively for Tomy (Tomy) toy. Zoomer behaves like a real puppy! He learns tricks! Try out simple commands first, like "Puppy sit!" or "Lie down!" Move up to advanced commands like "Let's dance!" Unlock more fun tricks if you name your pup! He's excited to see you! Get ready for ‘ruff’-housing fun with Zoomer Playful Pup! 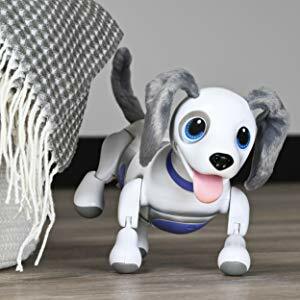 Give your new BFF a name and your pup will come when you call, and you can even train Playful Pup to roll over, shake a paw, or take a bow. 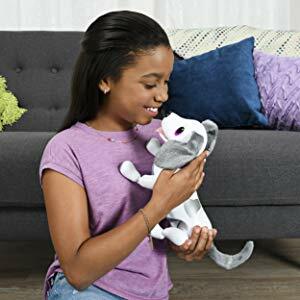 Whether it’s rough and tumble play or cuddle time, experience the Zoomer magic with your own Playful Pup! 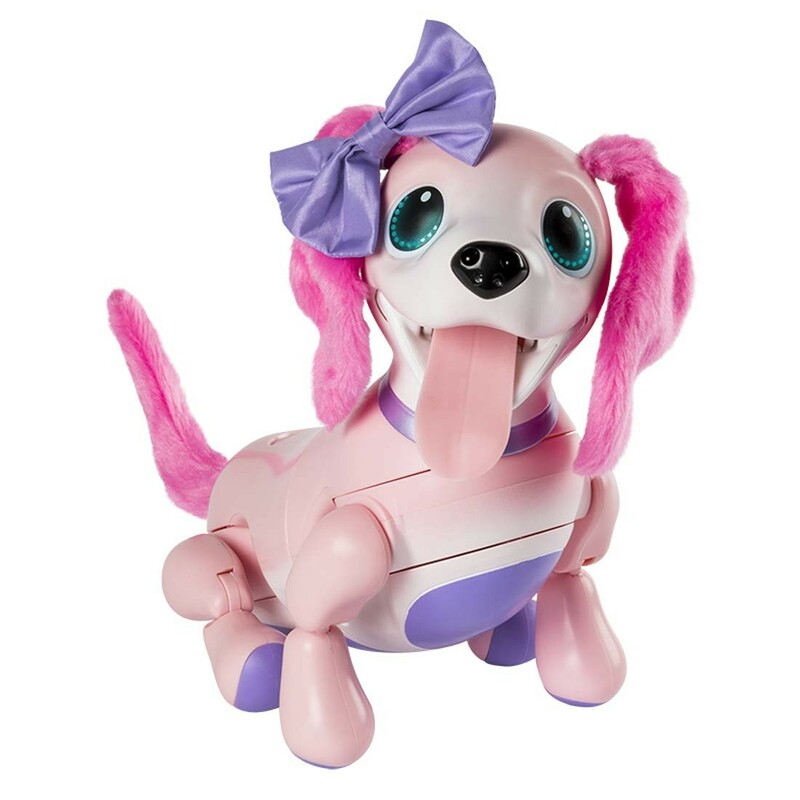 Zoomer has a floppy tongue, wagging tail and touch sensors and microphone for a full-on engaging puppy experience! 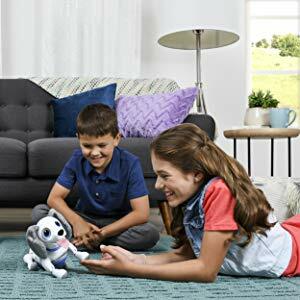 Your Zoomer Playful Pup loves one-on-one playtime! Equipped with multiple touch sensors, Zoomer will pant with excitement to see you and make cute barking sounds when you pet his head. Nuzzle his nose for licking noises. Rub and tickle his belly and hell ‘beg’ for more. 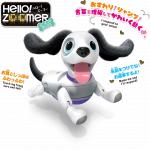 Zoomer Playful Pup romps and interacts with you just like a real dog! He ‘woofs’ with delight and whimpers when he needs more belly rubs. 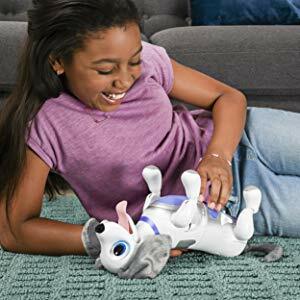 Zoomer yips, yaps, and yelps for more fun—it’s hard to keep up with your frisky friend! Who will tire out first?